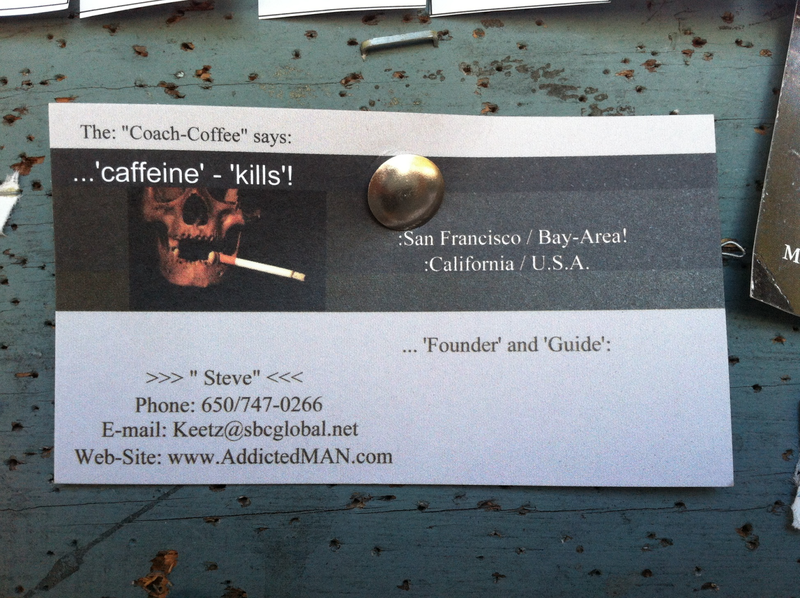 The “Blog” of “Unnecessary” Quotation Marks: "caffeiene" "kills"
I seriously don't know what this is advertising, so maybe it is some kind of code. Thanks Anna. Make sure you check out the photos page if you go to his site - You WILL be required to memorize the doughnuts recipe!